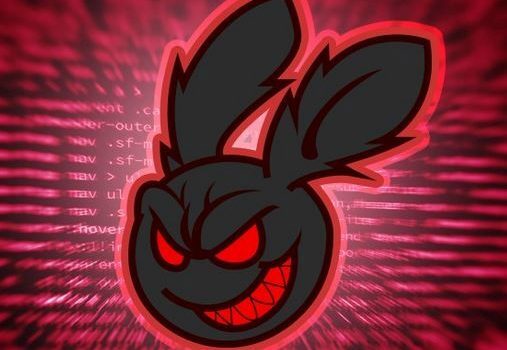 “New Mass Cyberattack” Bad Rabbit has targeted Russian media companies Interfax and Fontanka, as well as targets in Ukraine such as the airport of Odessa. 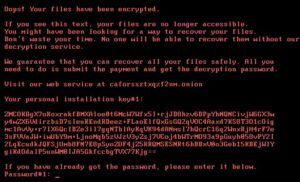 On October 24th new widespread ransomware attack is spreading like wildfire around Europe and has already affected over 200 major organisations, primarily in Russia, Ukraine, Turkey and Germany, in the past few hours. Dubbed “BadRabbit” is a ransomware attack that locks up computers and requires that a ransom is paid to restore the systems. The May and June attacks used similar malware, which resulted in losses that some economists estimated to be as high as billions of dollars. How is Bad Rabbit distributed? The ransomware dropper was distributed with the help of drive-by attacks. While the target is visiting a legitimate website, a malware dropper is being downloaded from the threat actor’s infrastructure. No exploits were used, so the victim would have to manually execute the malware dropper, which pretends to be an Adobe Flash installer. We’ve detected a number of compromised websites, all of which were news or media websites. According to Kaspersky Lab telemetry, the ransomware is spread via a drive-by attack. Also according to Kaspersky Lab telemetry data, victims are redirected to this malware web resource from legitimate news websites. The downloaded file named install_flash_player.exe needs to be manually launched by the victim. To operate correctly, it needs elevated administrative privileges which it attempts to obtain using the standard UAC prompt. If started, it will save the malicious DLL as C:\Windows\infpub.dat and launch it using rundll32. infpub.dat appears to be capable of brute-forcing NTLM login credentials to Windows machines that have pseudo-random IP addresses. What’s more, infpub.dat acts as a typical file encrypting ransomware: it finds the victim’s data files using an embedded extension list and encrypts them using the criminal’s public RSA-2048 key. The executable dispci.exe appears to be derived from the code base of the legitimate utility DiskCryptor. It acts as the disk encryption module which also installs the modified bootloader and prevents the normal boot-up process of the infected machine. An interesting detail that They (Kaspersky Lab) noticed when analyzing the sample of this threat: it looks like the criminals behind this malware are fans of the famous books & TV show series Game Of Thrones. Some of the strings used throughout the code are the names of different characters from this series. It is a default encryption scheme for ransomware. An interesting fact is that the ransomware enumerates all running processes and compares the hashed name of each process with embedded hash values. It is important to mention that the hashing algorithm is similar to the ExPetr one. Kaspersky Lab experts are working on a detailed analysis of this ransomware to find possible flaws in its cryptographic routines. make sure that all protection mechanisms are activated as recommended; and that KSN and System Watcher components (which are enabled by default) are not disabled. update the antivirus databases immediately. restricting execution of files with the paths c:\windows\infpub.dat and C:\Windows\cscc.dat in Kaspersky Endpoint Security. configuring and enabling Default Deny mode in the Application Startup Control component of Kaspersky Endpoint Security to ensure and enforce proactive defense against this and other attacks.